Friday's terror attack is said to have involved a modified AR-15 style rifle. Many consider this a military-style assault rifle, but what are assault rifles? The definition is much debated. New Zealand gun laws are mostly concerned with how fast a firearm can fire and how many bullets its magazine holds. They restrict pistols and weapons that fire bullets continuously or are semi-automatic — meaning the trigger must be pulled with each shot — and fitted with magazines holding more than seven bullets. These are classed as military-style semi-automatics, and people must meet extra requirements to own them. But semi-automatic weapons with magazines holding seven or fewer rounds and single-shot weapons, which need a new bullet manually loaded into them after each shot, are less tightly controlled. Any one of the about 250,000 Kiwis with a standard firearms licence can own these. Critics say there are a number of loopholes with such gun laws. AR-15 style rifles in particular have become notorious as a weapon of choice for mass shootings around the world, being used at Sandy Hook, Las Vegas and San Bernadino. The main difference between civilian AR-15 rifles and military M16 and M4 rifles is the military models can be fired in automatic or "burst" fire settings. Yet despite its similarities to military assault rifles, anyone with a firearms licence can own an AR-15. It's made AR-15s popular as fast-shooting, powerful and lightweight weapons with little recoil. And, while standard licence holders are not permitted to fit their AR-15 with magazines holding more than seven bullets, larger magazines can be imported from abroad without checks. Another loophole allows high-powered, armour-piercing sniper rifles to be imported by any licence-holder. Nicole McKee, of the Council of Licensed Firearms Owners, says it will work with the Prime Minister on "well-investigated" gun law reforms. She understands why hunters using semi-automatic AR-15 rifles say they're needed, especially when hunting deer or other larger animals. But Miles Anderson of Federated Farmers said there was no place for AR-15s on farms. "They are military-style assault weapons, why would you use them on farms?" Most farms had low-powered single-shot or bolt-action 0.22-calibre rifles for pests, he said. Some had 0.22 semi-automatic rifles. Chris Cahill, president of the Police Association, wants to ban all high-powered semi-automatic weapons greater than 0.22 calibre. • New Zealand gun laws are mostly concerned with how fast a weapon fires and how many bullets can go in its magazine. • Automatic or burst-fire weapons are already restricted. • Most semi-automatics, regardless of their power, are freely available to 250,000 licence holders, provided they are fitted with magazines containing no more than seven rounds and have no other military modifications. • Hunters say high powered semi-automatics—which need the trigger to be pulled for each shot— are a must for large game, such as deer, and for sport. 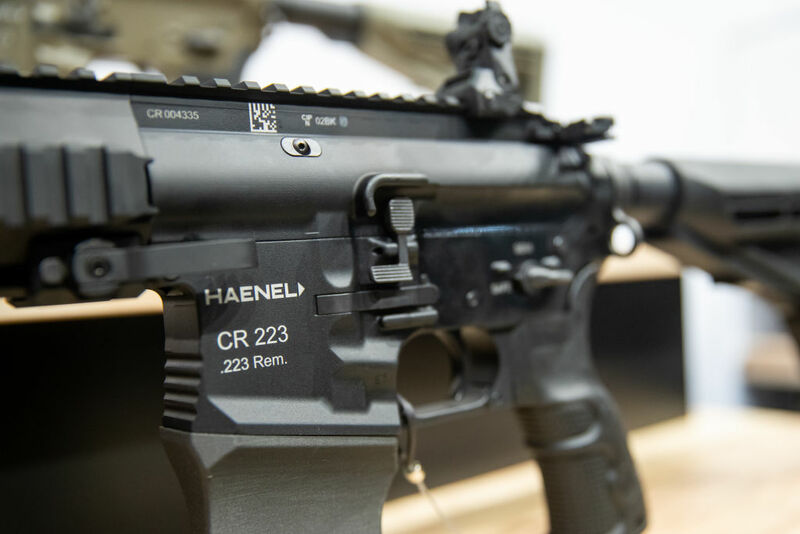 • But critics argue current gun laws allow Kiwis access to military-style assault rifles, such as AR-15s, that are closely related to military M16s and M4s. • Critics say gun owners should be restricted to owning single shot or bolt action weapons that require each round to be manually loaded into the weapon after each shot.